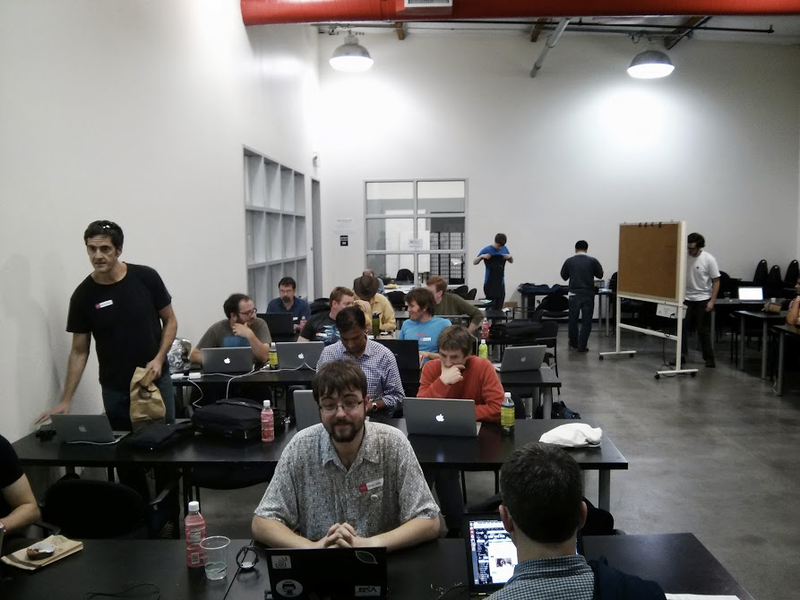 Last weekend saw the 2013 edition of BayHac: a two and half day hackathon for Haskell programmers. 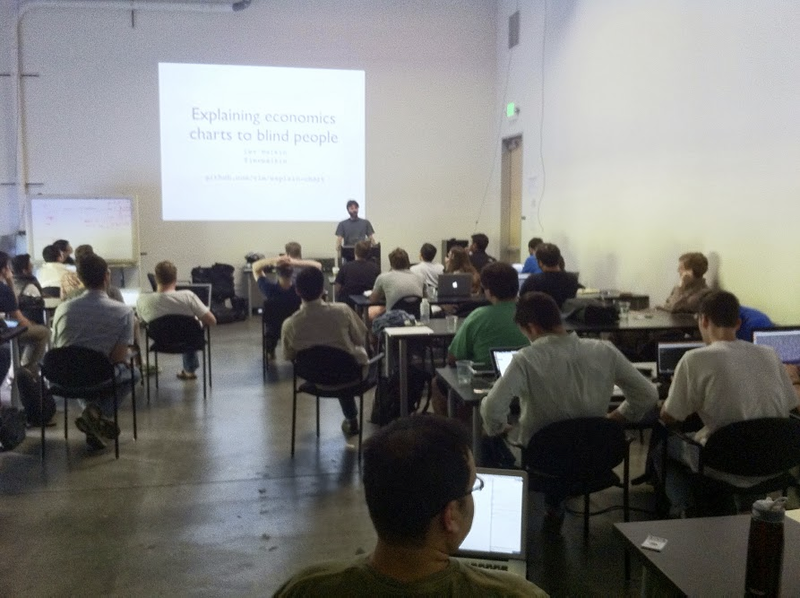 This year's event was held at Hacker Dojo’s lovely new space in Mountain View, California. Attendance was the highest yet with over 70 people on Saturday alone. Attendees were from every skill levels, from padawan to Jedi master and everything in between. In addition to the mainstay of hacking on a wide range of projects with the kind assistance of those around you, BayHac '13 also had some more structured events. A three hour Code Kata session had 10 teams of two working on crafting elegant code solutions to a program that evolved over the course of the session. Then the teams shared their solutions and we learned how many different ways one can approach even simple problems. Two sessions of lightning talks saw 17 presentations on topics as diverse as protein searching, category theory, explaining charts to the blind, music composition, meta programming, and wrapping a new regular expression library. 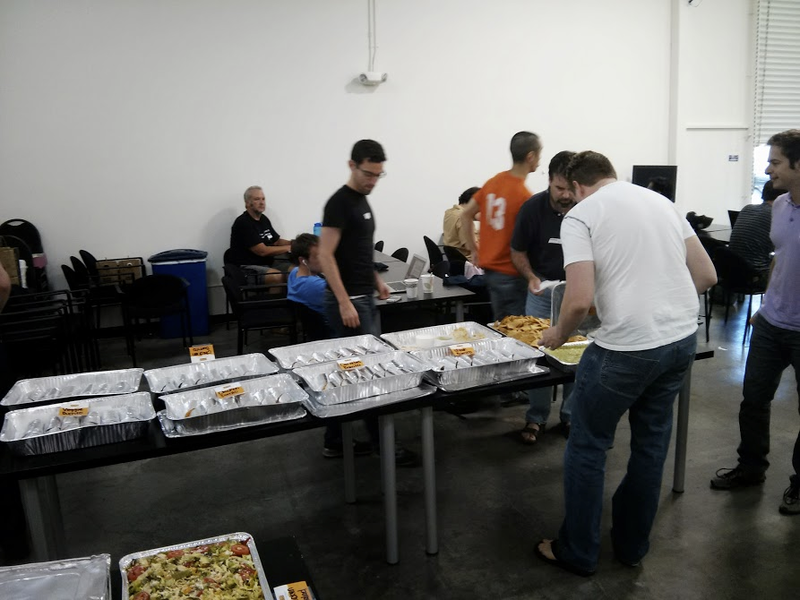 This year, thanks to a generous sponsorship from Google, BayHac included lunch, which as you can see below, was well received and helped fuel the day's hacking.